After a certain age, the skin begins to sag because it loses volume. 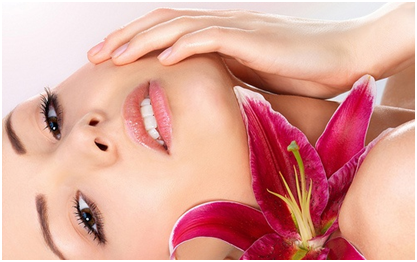 To boost its elasticity, the elastin and collagen into the skin must be stimulated. A controlled stimulation leads to an improved skin tone. Apart from chemical peels, laser skin resurfacing, and thermage, women have another option: dermal fillers. Made of Hyaluronic acid (a natural ingredient found in the skin) it can boost the skin’s appearance, and get it back in shape so to speak. Dermal fillers don’t have negative effects or bad reactions because they’re not considered strange to the skin. As we age, the skin’s dermal layer becomes a lot thinner. Static wrinkles begin to appear on the face, and the skin loses fullness and elasticity. Dermal fillers can actually eliminate static wrinkles; they can add volume to the skin’s layer and boost its volume. The tissue is being restored to its original state, and thus the skin looks younger and more revitalized than ever. There are various types of dermal fillers, and two of the most common are collagen and Hyaluronic fillers. Hyaluronic acid happens naturally in skin’s deeper layers (the dermis). It keeps the skin smooth and it can hold its weights up to 1,000 times in water. Several dermal filler products have in their composition a specific form of Hyaluronic acid; when applied through injection it helps restore the skin’s elasticity. The area is maintained full, and wrinkles are significantly reduced. Choosing the best dermal filler for your face can be challenging. The market is packed with all kinds of procedures meant to restore your skin’s elasticity, so it’s up to you to decide what might work best for your complexion. Some filler can be extremely efficient as everything depends on the initial state of the skin. Superficial lines and static wrinkles can be easily removed with one treatment, while deeper fine lines might require more than one session. The main question is: can dermal fillers improve the loss of elasticity in the skin? A short answer would be “yes”. However, it’s extremely important to do your research first. Finding a treatment can be challenging, so a specialist’s opinion is critical. Apart from the classical dermal filler with Hyaluronic acid, you could also opt for a calcium-based filler to boost elasticity. Radiesse for example, is made of calcium hydroxylapatite microspheres. It is meant to add volume to your wrinkles and diminish fine lines. It can also stimulate the production of collagen and restore the fullness of your complexion. Stem cells fillers are the newest buzz. 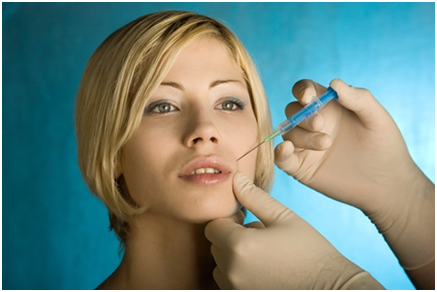 Your face is injected with stem cell extracted from fatty tissue. The treatment is rather new and extremely efficient because it helps produce collagen and new blood vessels. The end result is a restored face that looks younger and more revitalized. The greatest advantage of this procedure is that it makes the transformation look natural, and believe or not the results are long term. On the downside, not everyone can afford to spend $5,500 on a stem cell treatment to reduce fine lines and restore skin elasticity. Dermal fillers are a safe option to remove wrinkles without major surgical interventions. The results are almost immediate and the procedure is a lot more efficient than anti-wrinkle creams. However, note that the results are not permanent; the patient is advised to redo the procedure after a period of 9 months. Scarred tissue wrinkles, and fine lines that result from sun damage or aging are the main reason why women turn to dermal fillers. In time the skin loses elasticity and it can only be restored artificially. In as little as 20 minutes the procedure is completed, so you can resume your regular routine shortly after. In the first two days, the patient might experience minor discomfort and soreness, yet the end result is certainly satisfactory. To conclude, dermal fillers can significantly improve complexion. Sagging skin leads to wrinkles and unaesthetic fine lines that are inevitable after the age of 30. To postpone the aging process of the skin, most women turn to anti-wrinkle creams and even Botox. Both might seem like viable options, but dermal fillers are increasingly more effective and a lot less dangerous.